E L James has a lot to answer for in my opinion. 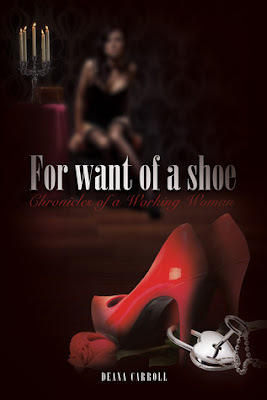 Here we go again with a Dominant/submissive story, this time by author Deana Carroll entitled "For Want of a Shoe". A tale heavily influenced by FSOG. And like FSOG I kept asking myself "Why is she with this guy?" Abi and her boss Lester, embark on a wild affair that turns even wilder from the moment the dog collar is strapped on. Lester is selfish and narcissistic, but clever in certain ways that makes it so hard for Abi to leave. He is obsessive about controlling every aspect in her life. She wants? amm company? Read it for the kink. Read it for the thrill. Read it if you're bored. Great review! Short and informative. You tell the reader what to expect and the reader decides. Reading for fun is ok. Why not?